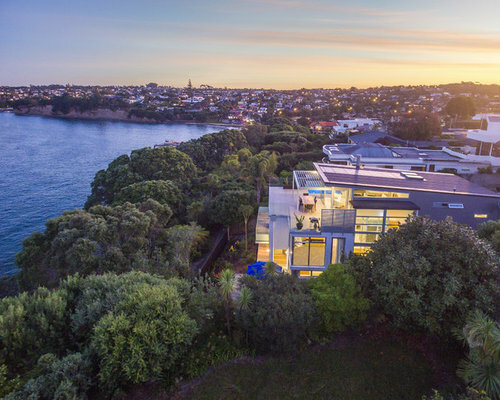 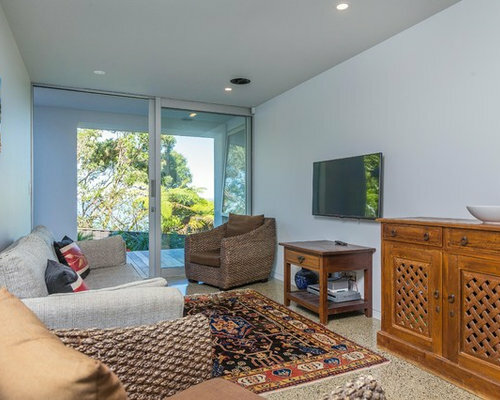 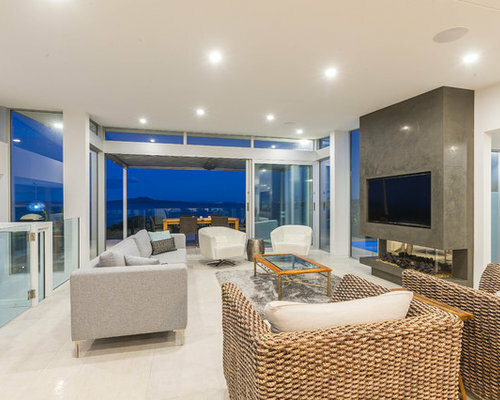 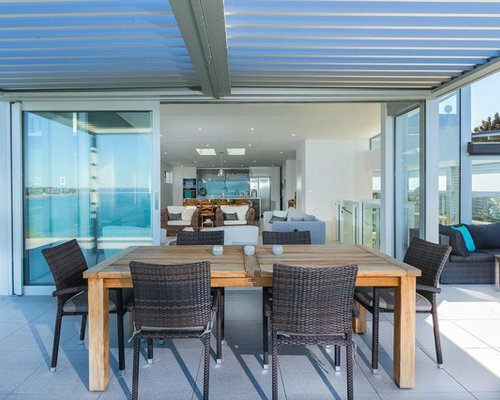 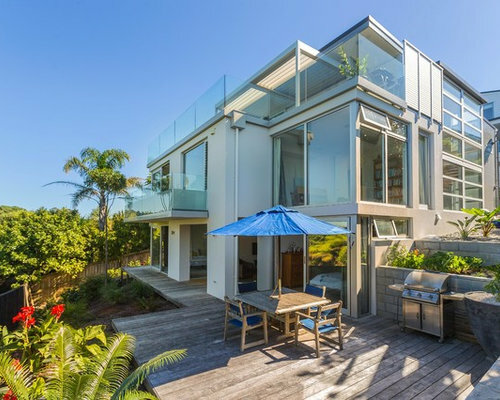 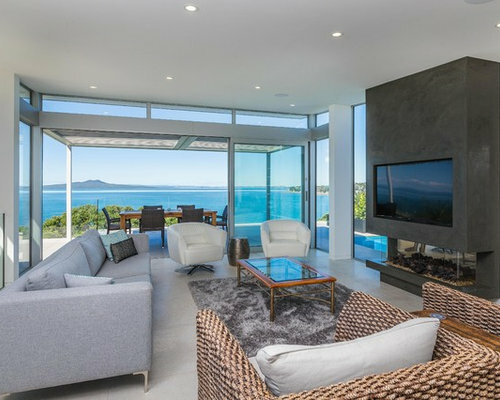 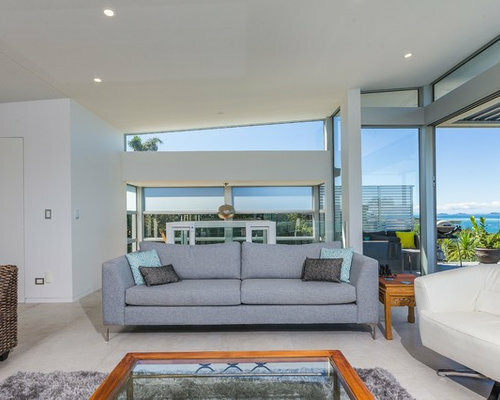 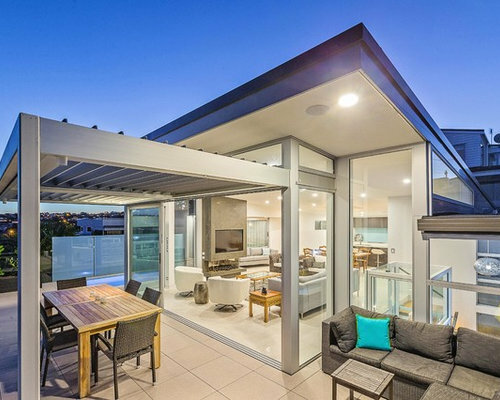 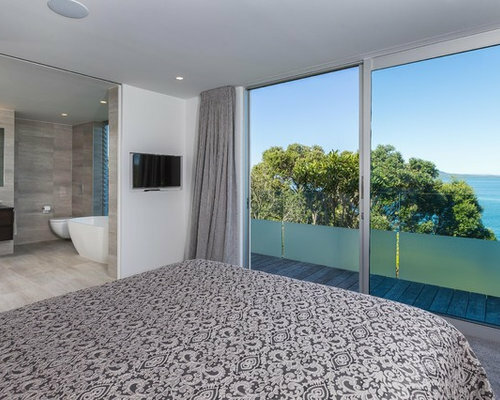 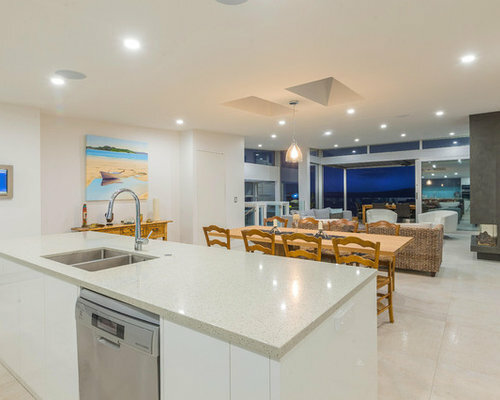 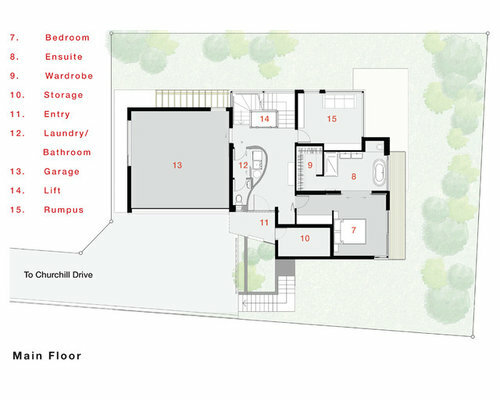 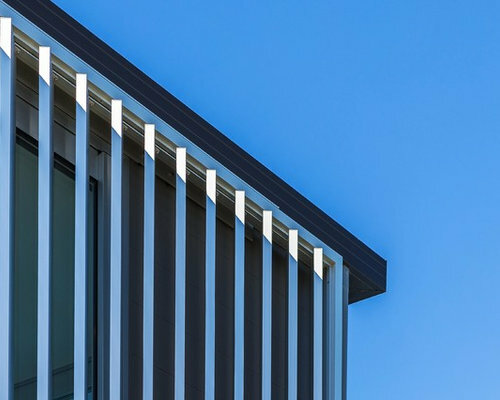 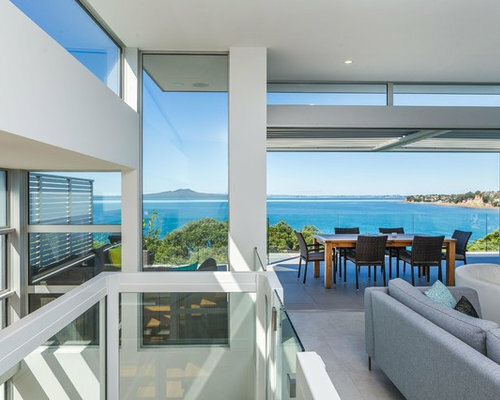 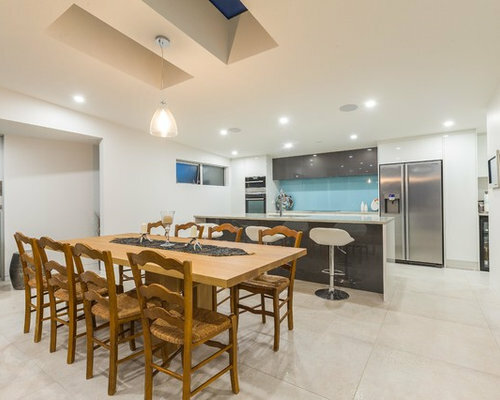 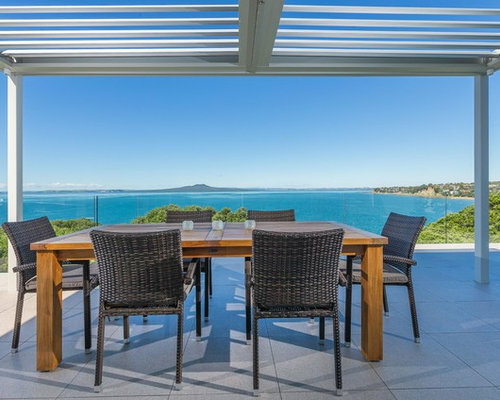 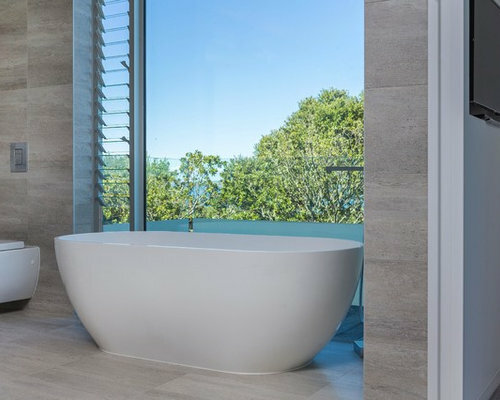 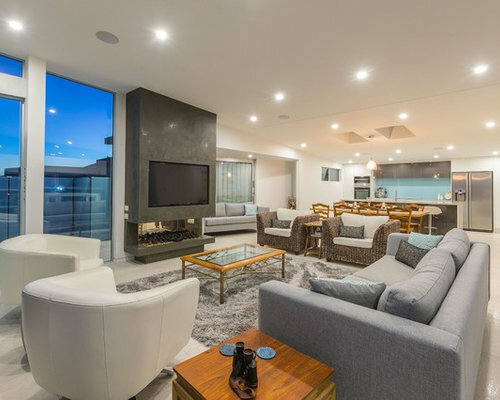 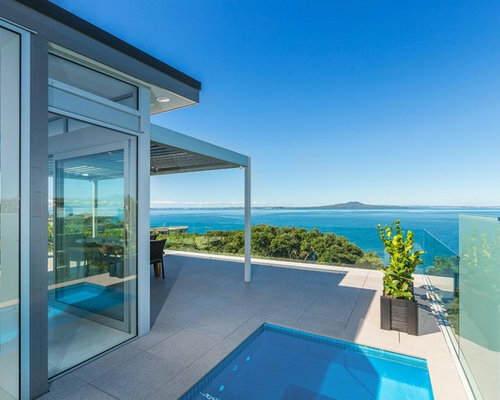 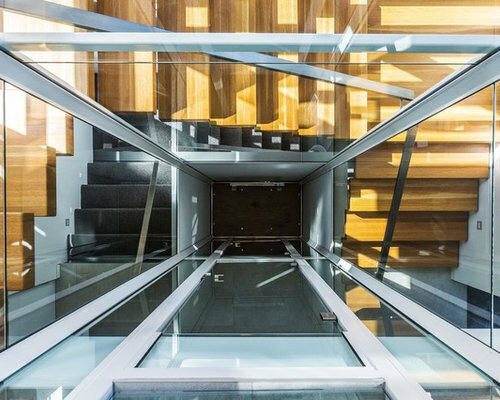 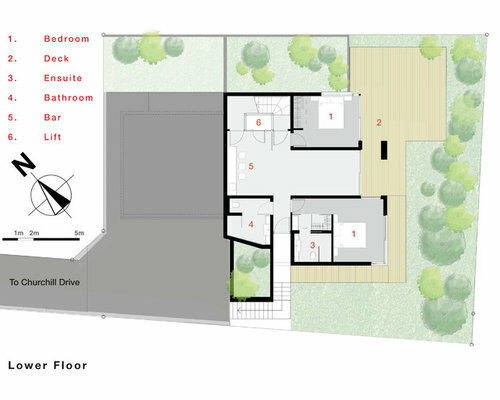 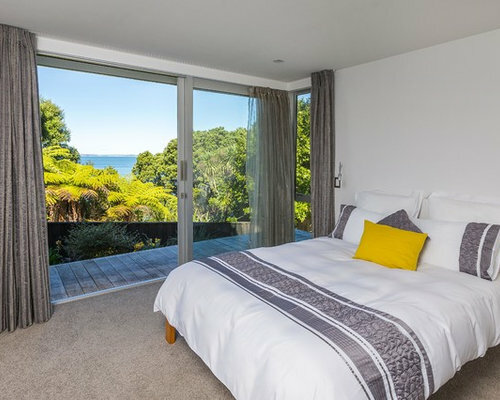 Located on a steep coastal piece of land in Murrays Bay, this new dwelling was developed specifically for clients who were approaching retirement. 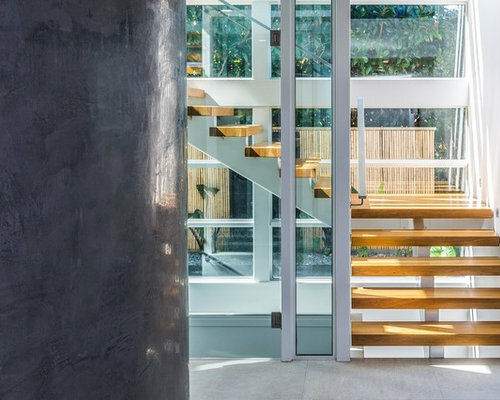 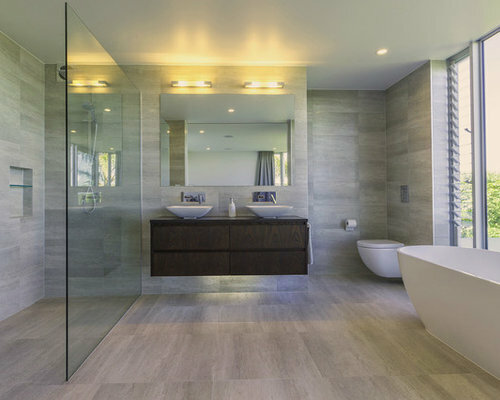 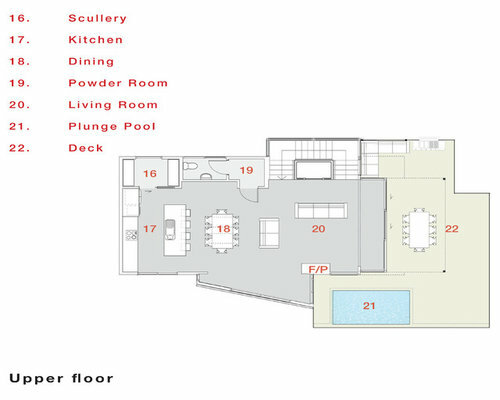 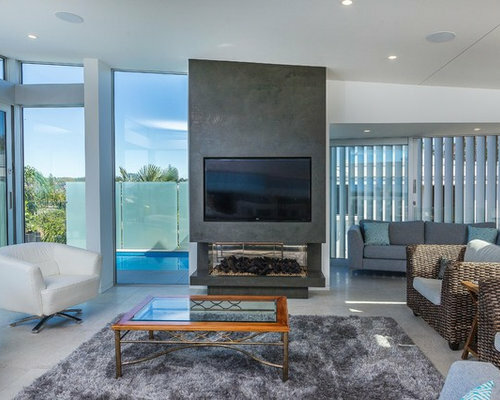 It was imperative that the residence incorporated principles of universal design and future-proofing. 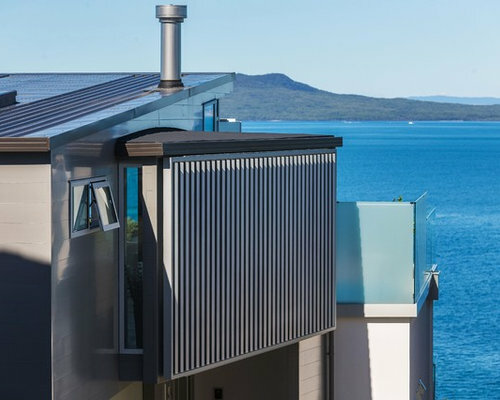 This project maximises clifftop views at each cascading level. 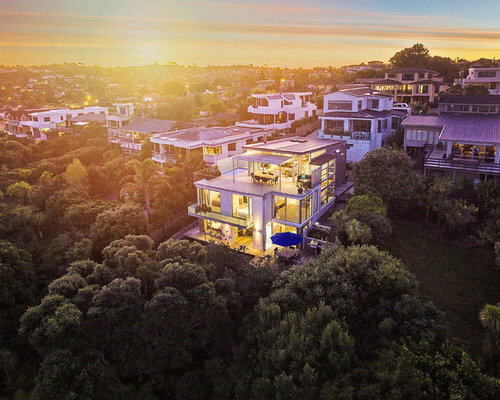 The building remains secluded from the bay on the sea-facing, rear edge of the property as it rises above the dense native flora flanking a public walkway from Murrays Bay.